Comfort Craft mats are designed to stimulate circulation in feet, legs and lower back by providing the simplest and most effective way to reduce standing fatigue and stress. Comfort Craft Classic is a full 3/4" thick." 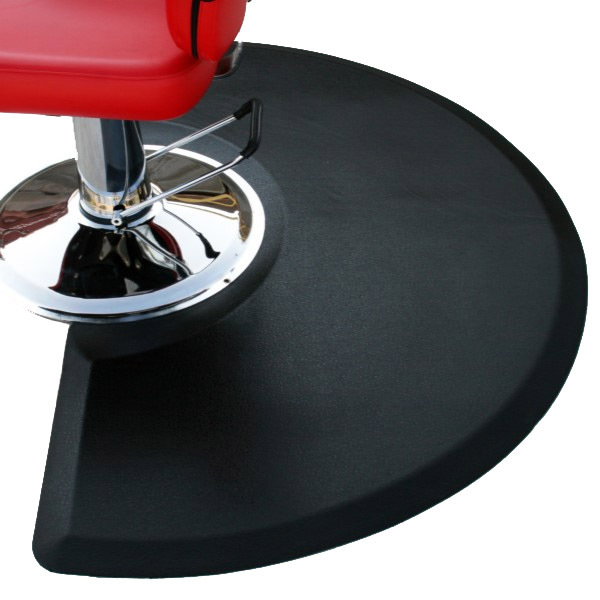 The Comfort Craft salon mat gives you the tailored look and feel of polyurethane with the classic textured surface and is available in both rectangle & semi-circle shapes. It transforms the professional's perfomance making the job more enjoyable. 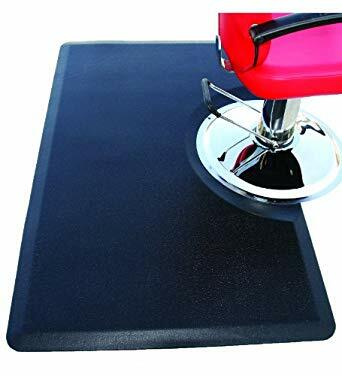 The Vegas salon mat features an extra thick top surface that provides the maximum resistance to puncture while remaining soft and pliant allowing exceptional sensitivity to the sponge base and unparalleled comfort. The top surface is manufactured with a rich polymeric vinyl compound with no fillers added, creating a top surface that is bullet proof. 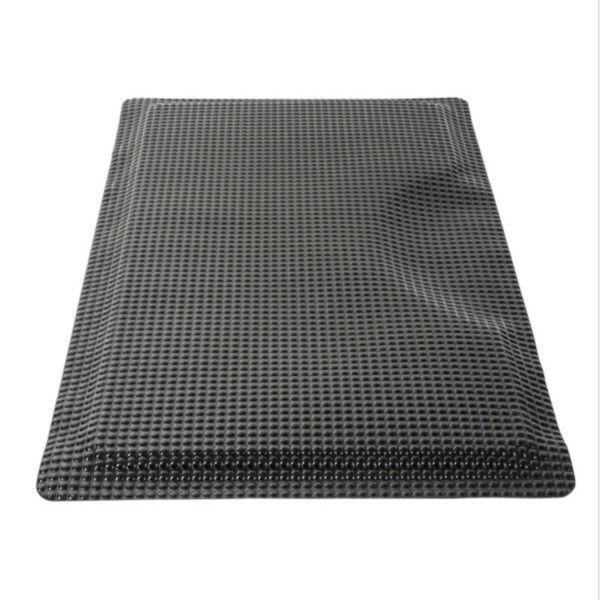 All Comfort Craft Premium Anti-Fatigue Mats are manufactured in USA, from a unique polyurethane composite material offering extreme toughness and durability. 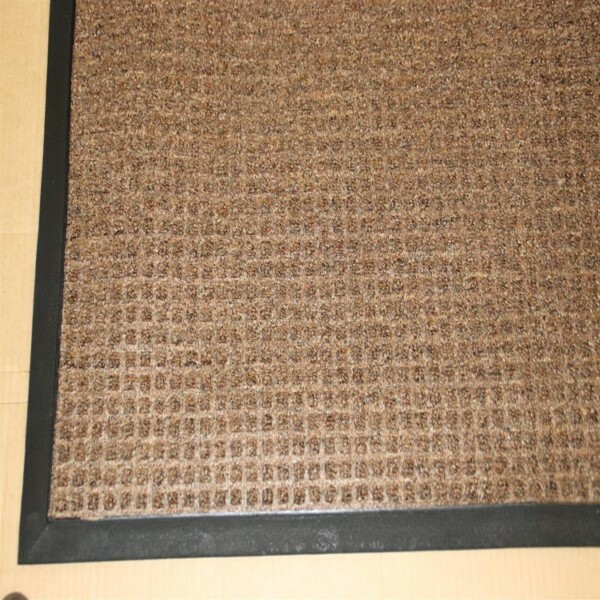 Best of all, Comfort Craft Premium Mats are American made and consist of sustainable and recycled materials! 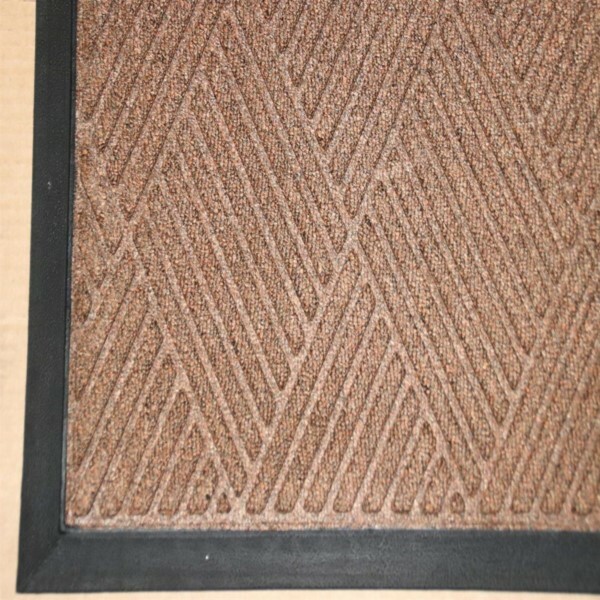 Rhino Reflex Anti-Fatigue mats provide a dual action blend of sponge with vertical column support. The super resilient closed cell polymeric sponge base encourages subtle movement of leg and calf muscles, which promotes blood flow to the heart and improved health. The solid domed Reflex surface is compliant, taking the shape of the foot and providing equal support over the entire footprint. 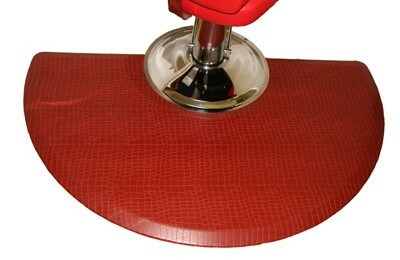 Rhino Hide Beauty Salon Mats are designed to stimulate circulation in feet, legs and lower back by providing the simplest and most effective way to reduce standing fatigue and stress. 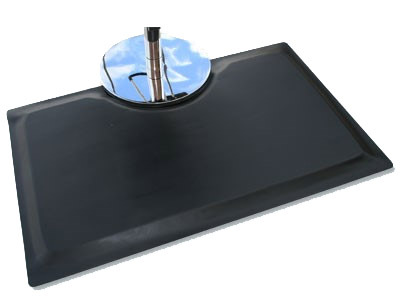 The Rhino Hide Salon Mat features a beautiful high-gloss pebble surface of non-porous vinyl and is available in bothrectangle & semi-circle shapes. The performance of every Sport Salon Mat will tell you they are not just made for looks - they are built to last and this is backed by a five-year performance guarantee. 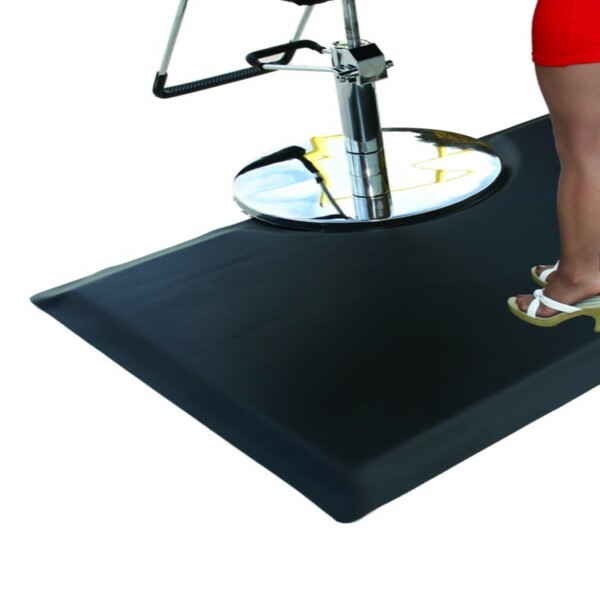 Double sponge Sport Salon Mats are the anti-fatigue mats of choice, delivering the most unparalleled comfort you have ever experienced. 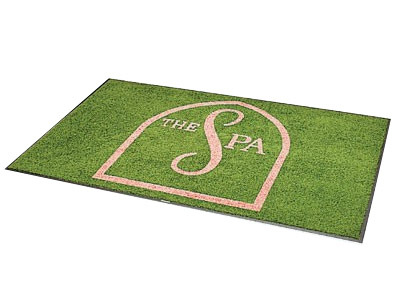 The elastic properties of Xtra-Flex foam in combination with the Performance Rated Polymeric top surface give the Xtra-Flex Salon mat a buoyancy and bounce that resemble the natural springiness of walking on a fresh mowed lawn. Backed by a five year peformance warranty. 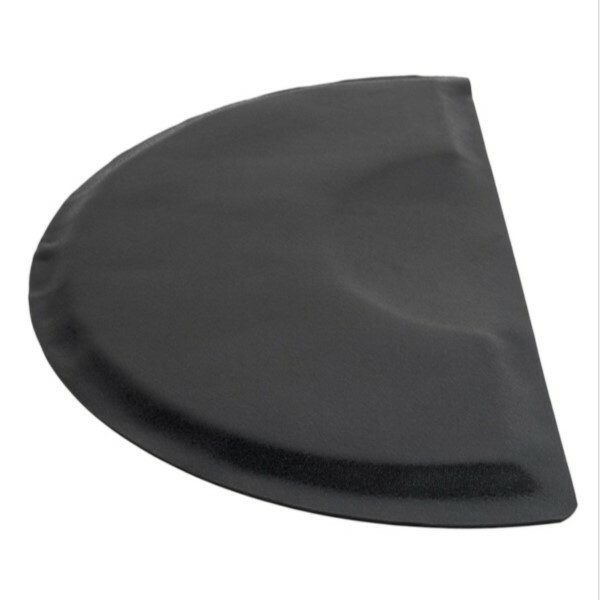 This engineered top surface is extremely durable, providing resistance to punctures from heels, cart traffic and cuts. At the same time the surface remains soft and pliant allowing exceptional sensitivity to the Multi-Flex sponge base. The fluid-like multi-density surface encourages subtle weight shift and movement of leg and calf muscles, which in turn promote blood flow and good circulation. The rich look of hardwood flooring enhance your salon environment while providing the simplest and most effective way to reduce fatigue and stress. Rhino double sponge mats are the anti-fatigue mats of choice, producing incredibly soft and resilient rebound properties. 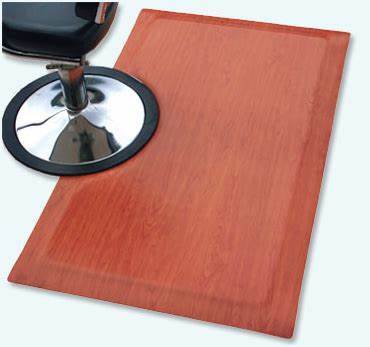 Colors available: wild cherry, fusion maple and walnut. 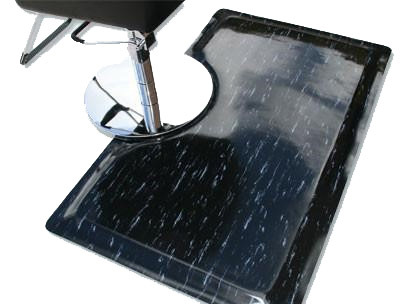 Rhino's Marbleized salon mats provide excellent resistance to many hair care products. It is also very easy to clean. These mats are a superior value with puncture resistance that exceeds rubber products by up to ninety percent. Colors available: brown, gray, tan, charcoal, sandalwood, blue, black/white and solid black. Rhino's Graphic Visions series offer an eye catching definition and visual clarity that make lasting statements in high-traffic areas like entrance, lobbies, reception areas and service counters. Made to order. Opus high fashion diamond design surface removes and stores dirt and moisture beneath shoe level. Strong and stain resistant solution dyed polypropylene fabric. 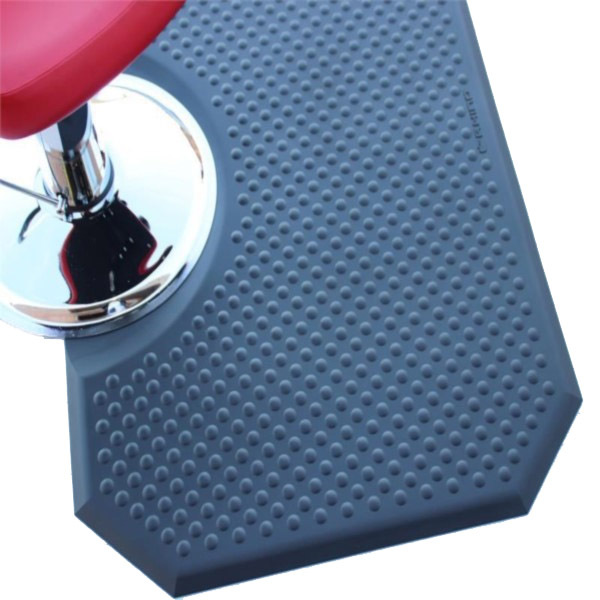 Rubber reinforced surface pattern prevents crushing and extends performance life of mat. Town & country traditional square nub design surface removes and stores dirt and moisture between cleanings. Strong and stain resistant solution dyed polypropylene fabric. 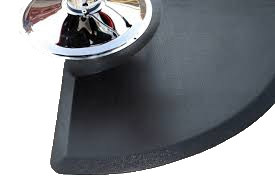 Rubber reinforced surface pattern prevents crushing and extends performance life of mat. Water dam design helps trap soil and moisture while reducing trip hazard with cleated back for increased traction. Recommended for hotels, restaurants, hospitals, office buildings and high traffic commercial areas.